The site is located in a walking distance of 5 minutes from Beijing’s landmarks, close to Tian’anmen Square and Chang’an Avenue. We undertook the renovation of this area called Qianmen East. 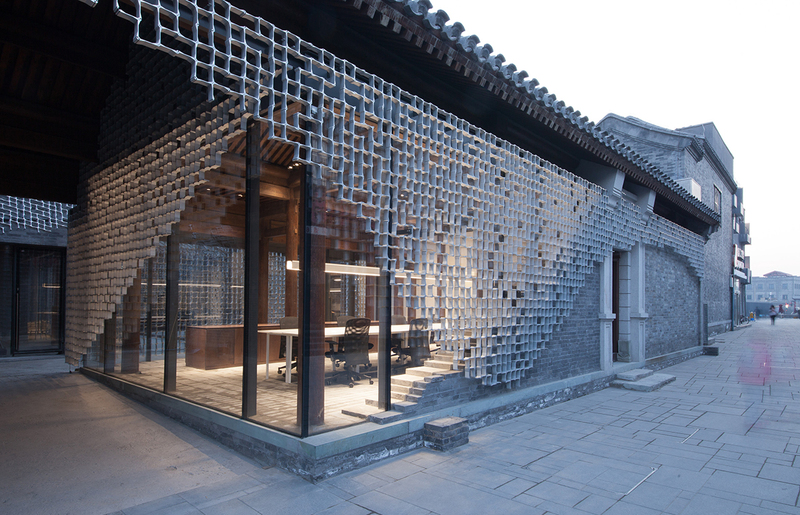 It used to be a district in which classical Qing/Ming-styled courtyard houses concentrated. However, with the explosive growth of population in big cities, these houses began to be occupied by people who were strangers to each other. As a result, the historical Siheyuan (courtyard houses) became like a slums, and was even called Da-zayuan (messy dwellings). Our aim was to rejuvenate the entire place as an open community, by transforming it to a townscape that contains mixed programs – offices, houses, shops, hotels and restaurants. In the wooden structure, each column and beam was carefully dismantled, repaired, and re-assembled by local carpenters. 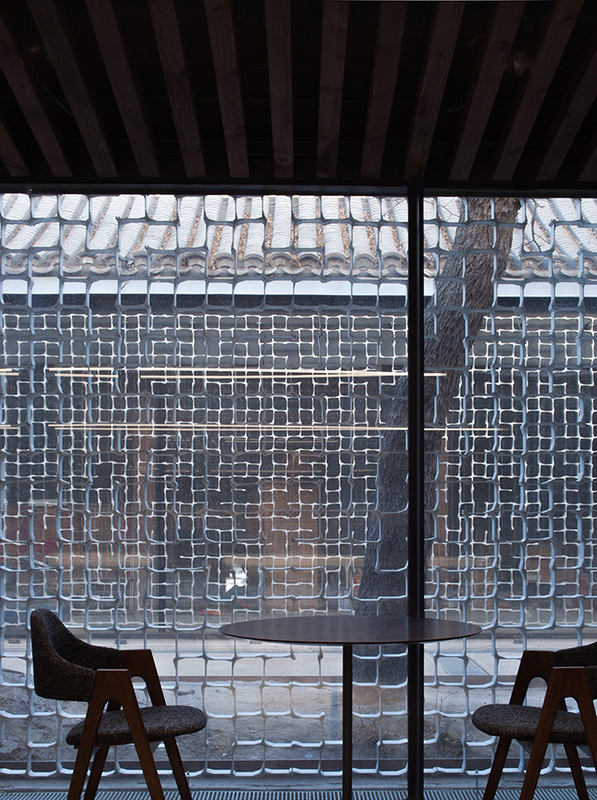 We designed the exterior as a combination of brick wall and glass curtain wall with extruded aluminum screen. 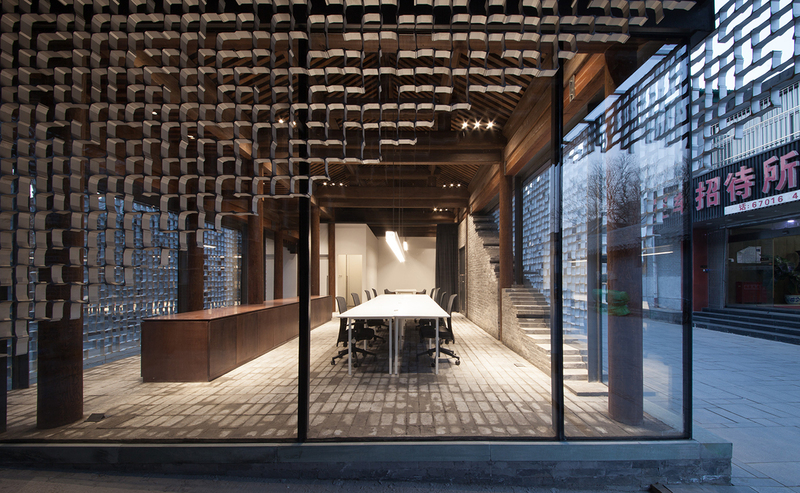 Thus, our version of Siheyuan came to open up to the street, bringing in free atmosphere and well-controlled transparency. The parts that consist the aluminum extrusion are in simple 2 types. 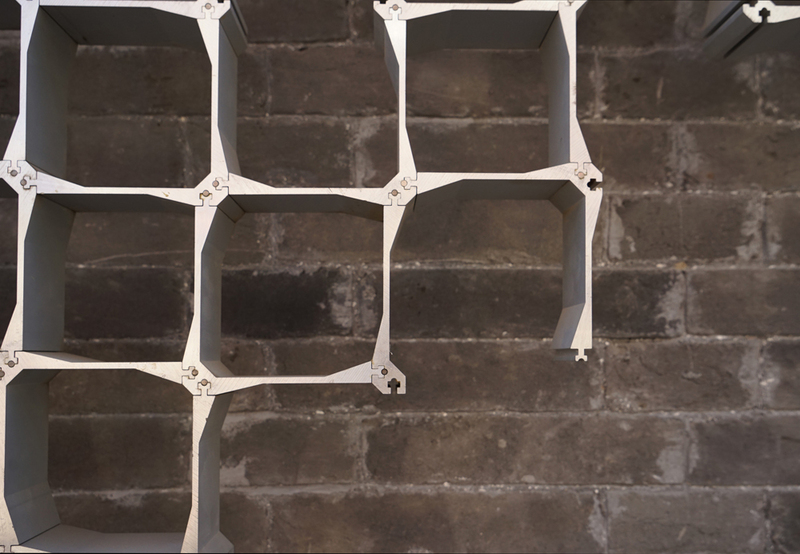 By assembling them as one might do for jigsaw-puzzle, we formed an organic pattern that respect the design called “Huagechuang” (Chinese lattice pattern, often applied to windows and doors in traditional buildings). Gone are the days when Beijing was made of time-honored Hutong and Siheyuan – most of them were replaced with modern high-rise buildings. What we have done in this project is a revival and proposal of new low-rise housings for various programs, which could meet the demand of today’s urban environment. 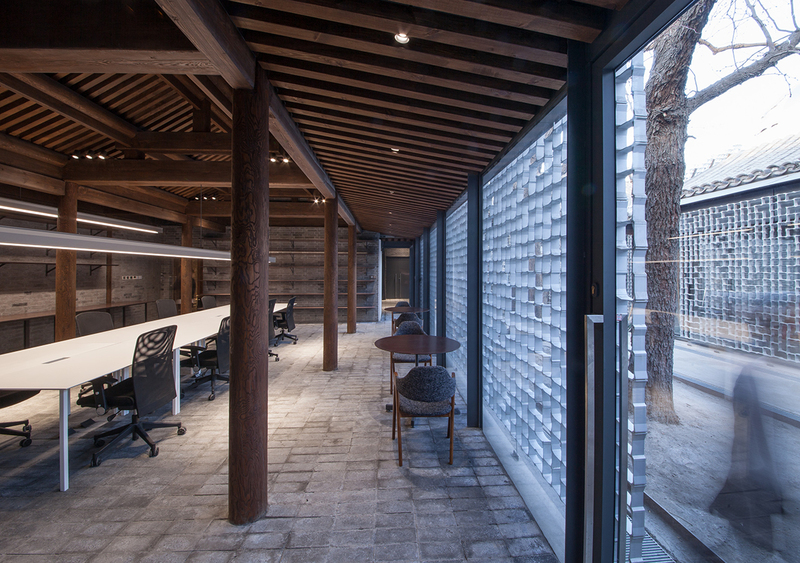 Kengo Kuma & Associates’ Beijing office resides here, too.